During the holiday season, Tradition remembers what the holidays are really about. It’s not about spending money on all the best gifts, but about the little moments that make the season so special with family. 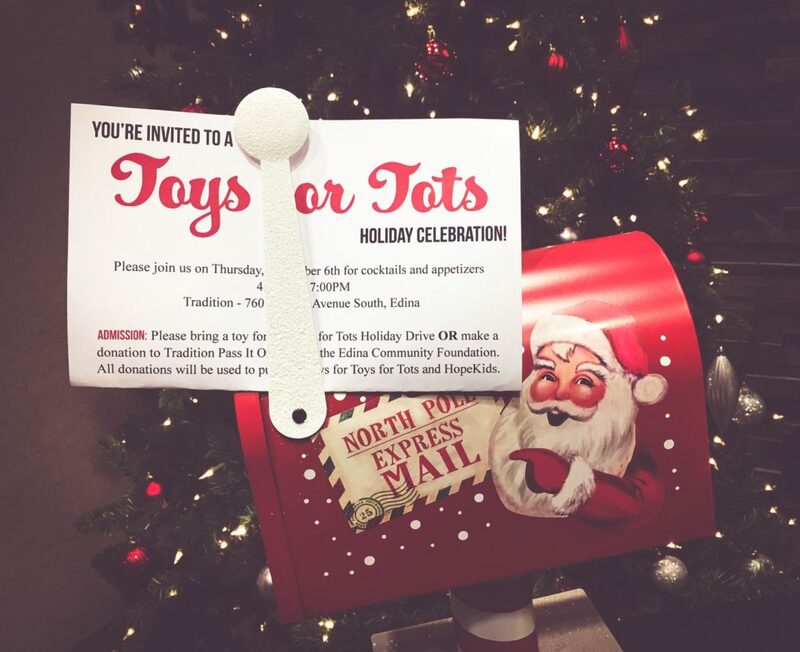 On Thursday, December 6th, we hosted a Toys for Tots & HopeKids MN Holiday Celebration at our corporate offices in Edina, MN. Attendees were asked to bring a toy for the Toys for Tots Holiday Drive OR make a donation online that would go to purchaseing toys for Toys for Tots and the HopeKids MN organization. Thank you all who joined us and/or donated to the event. It was a great turnout! We were able to raise over $2,040.00 for HopeKids, and received over three pallets full of toy donations from our staff and guests at the event. We are overjoyed to help make the holidays a little easier and brighter for a handful of families this year!